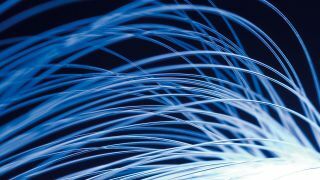 Superfast broadband is deemed more important to the British public than building high-speed rail or expanding airport capacity. That's according to research from the Institution of Engineering and Technology (IET), which surveyed 2,000 members of the general public on what infrastructure improvements would bring the greatest benefit to the British economy. 43 per cent of those questioned said that they believed expanding the country's internet and broadband capabilities would deliver the most economic benefit. Around 30 per cent said they thought increasing airport capacity would be most beneficial, either by building new terminals at existing airports or by constructing new airports altogether. 16 per cent of those questioned by the IET pointed to new high-speed rail projects, such as the HS2 connecting London and Birmingham, would bring financial benefits to the UK. "The public have told us that supporting the e-economy by rolling out universal superfast broadband will have more economic benefits for the UK than more traditional infrastructure projects like increasing airport capacity or high speed rail," he added. The findings echo recent comments from ANS Group Founder and Chairman Scott Fletcher, who said superfast fibre-to-the-premises broadband would be of "immense" help to the UK, while HS2 will not deliver "anything like the financial benefits that are claimed". Other studies into the effects of superfast broadband have revealed that businesses have saved time and money thanks to improved connections to the internet.